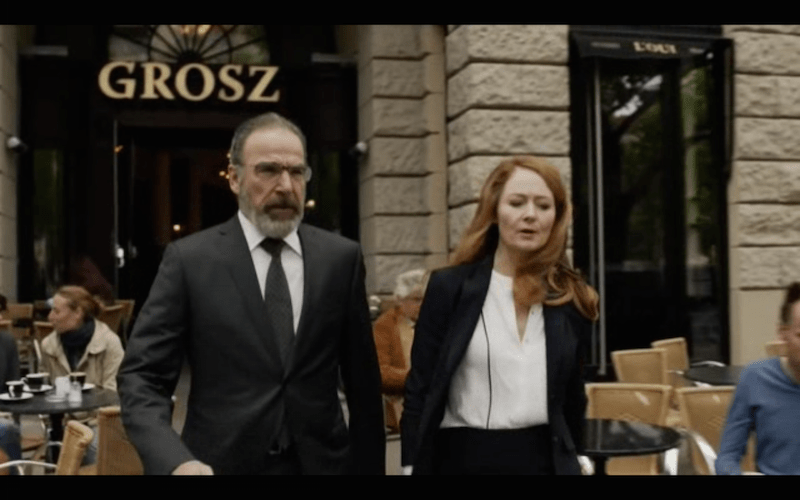 All still pictures are from Homeland: Showtime Networks. During season 5 of the popular thriller series Homeland, Carrie Mathison (Claire Danes) an ex CIA agent, sets out to create a new and quieter life for herself in Germany’s capital Berlin. Her plans are crushed when someone tries to kill her, an her former colleague Peter Quinn finds himself surrounded by terrorists who are planning a massive attack. Other clues for this season is hacking, Russian mafia and disclosure of a secret German-American cooperation. Through the twelve episodes we are taken along a thrilling journey around Berlin and in the surrounding areas. Carrie visits both known and unknown places, buildings and cafees – and now you can do the same! 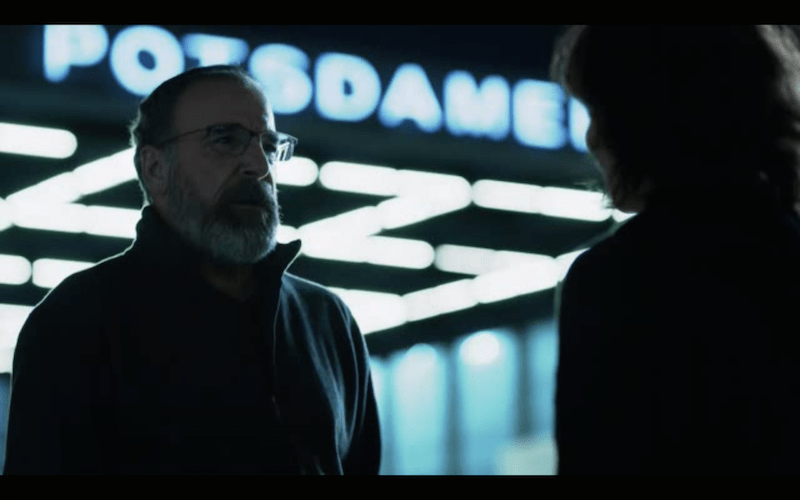 Berlin is one of my favourite cities, and Homeland is definitely one of the very best series I have watched on TV. 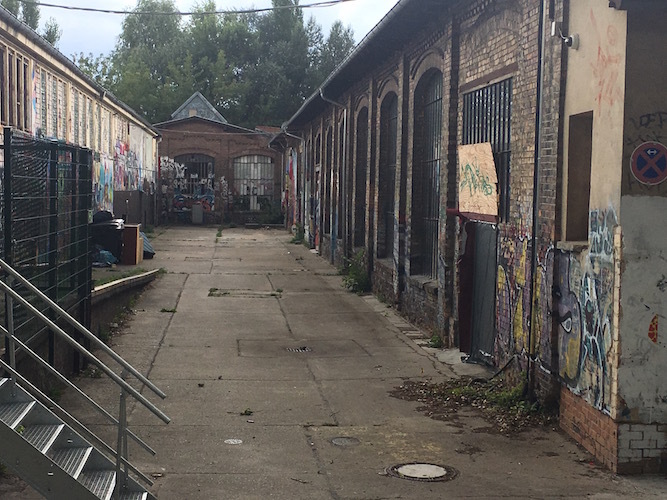 This inspired m to travel around Germany’s capital in order to create this guide to the different locations – which, in turn guaranteed will enable you to experience many rather unknown areas of Berlin! Please note. This guide describes what is happening in the TV-series. I have tried not to reveal too much of the action but the text might contain some spoilers! After quite a search I found the abandoned factories around Reavler Strasse: Peter Quinn’s hiding place! 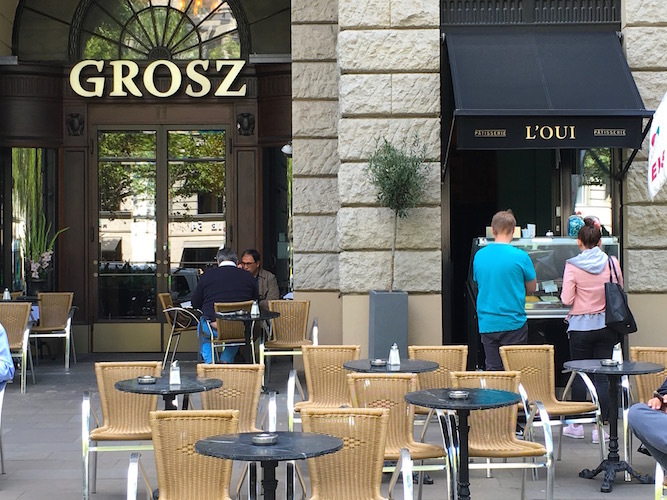 If you are traveling on a budget you can still enjoy a cold ice cream from the ice cream café beside Grosz! 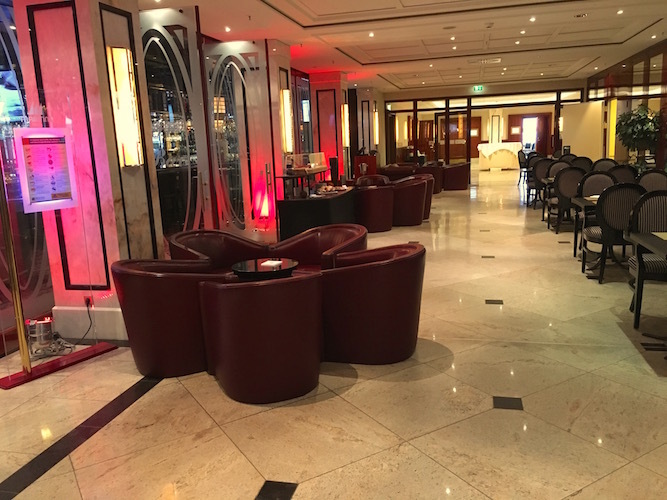 In this fashionable restaurant from 1912 the German federal secret service, BND (Bundesnachrichtendienst) and CIA to discuss the secret documents that have come into the hands of two young hackers and a journalist. Nearby: Kurfürstendamm is the most prominent shopping street in Berlin, and one of my favourite. Walk towards east from Restaurant Grosz and view the ruins of Kaiser Wilhelm Kirche. Now your shopping can begin: In this the area you will find shops that suits different budgets: Nike Store Berlin, Forever 21, Adidas, C&A, Zara, Desigual, Foot Locker and much, much more. If you continue a bit further, down the Tauentzienstrasse, you will find the luxurious shopping centre KaDeWe (Kaufhaus Des Westens), one of the biggest shopping malls in Europe with its 60.000 square meters and around 300.000 items. If you instead turn west from Restaurant Grosz, you will find exclusive shops such as Chanel, Gucci, Louis Vuitton and Dolce and Gabanna. Both in this park and the neighbouring park James-Simon Park you will find nice out-door cafés where you can enjoy the view of the river while sitting in deckchairs on the grass. Location: Quinn and Dal Adar meet in the park to talk and they sit down on a bench. 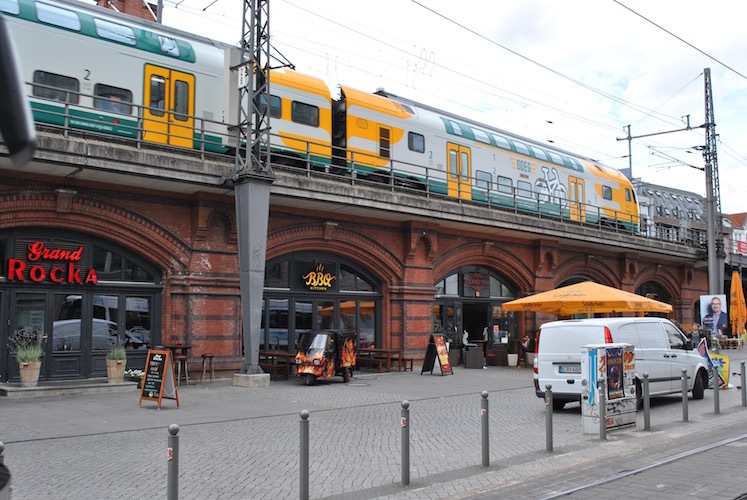 This green lung is situated by the river Spree and here you can find several nice outdoor cafes in the summer. Some of them have comfortable deckchairs on the grass. 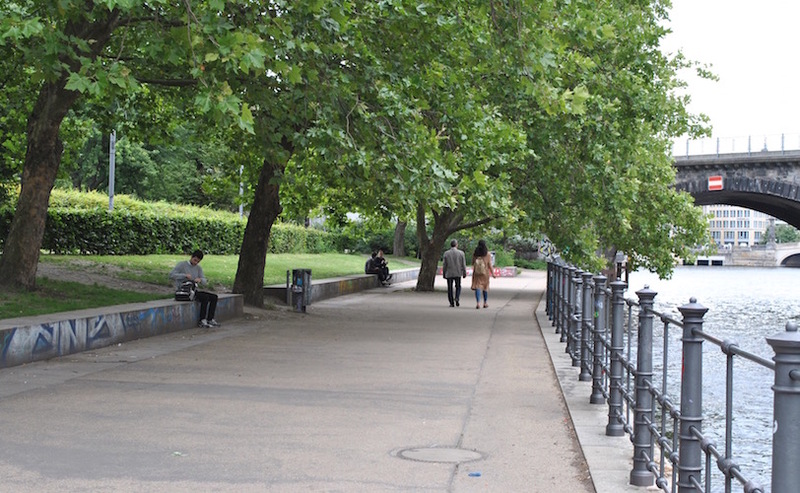 If you visit the park right below, James-Simon Park, you can find Ampelmann Restaurant among other restaurants. I nærheten: The park is situated right beside the spectacular Kathedral Berliner Dom. Also the island Museumsinsel, with its five different museums, is easily accessible. Location: The American journalist, Laura, meets the hacker Numa in order to get the memory stick with the hacked files. It is also here where Numan is arrested by BND. 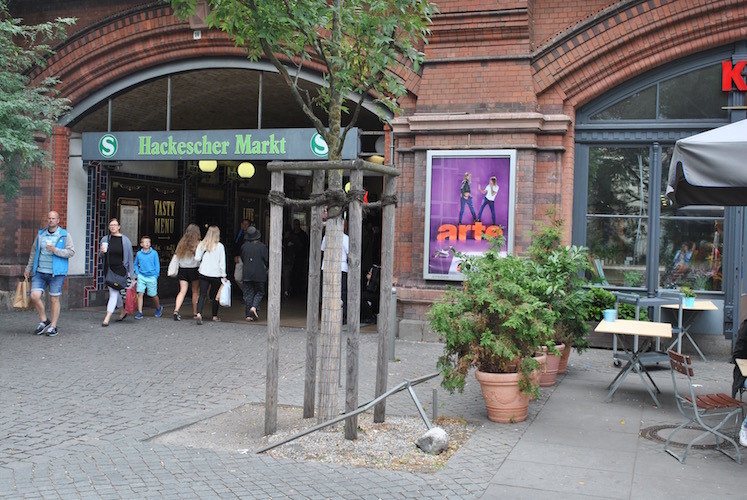 The area around the station, Hackesher Hof, is known for its many small shops, cafés and booths. When the sun goes down, people ready for a party party gather in the bars and the clubs and the night-life can begin! 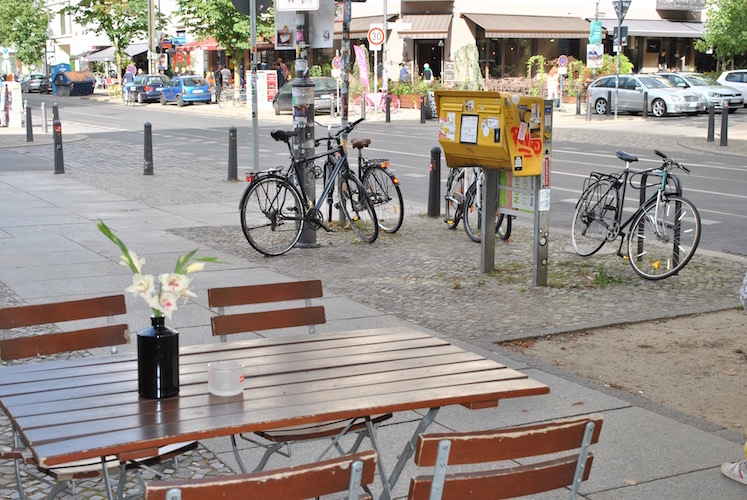 Nearby: Berlin’s well known landmark is just a few minutes walk away. My advice is to walk on to James-Simon Park and Monbijoupark. At Monbijouplatz, 5, right behind Hackescher Markt, you will find the salad bar Dean & David. I am normally not a big fan of chain stores, but their tasty, healthy and exciting meny combined with efficient service and affordable prices, makes it a good choice when you are in a hurry! 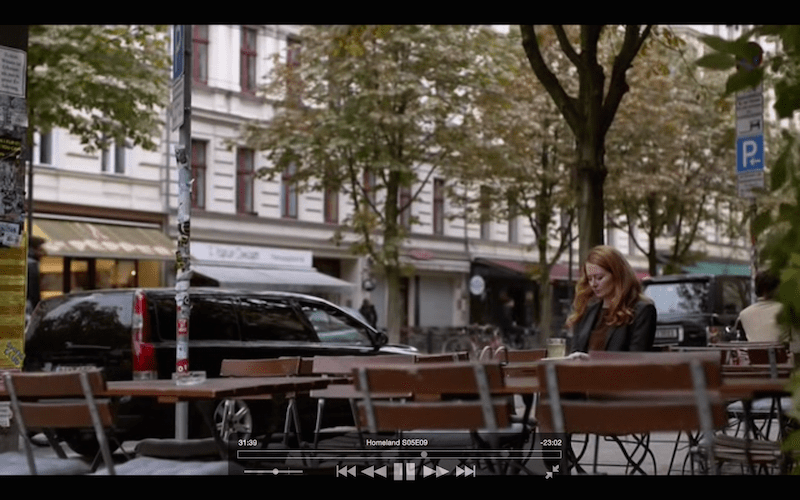 It is still possible to get a bite to eat in front of the office building belonging to Düring Foundation in Homeland season 5! 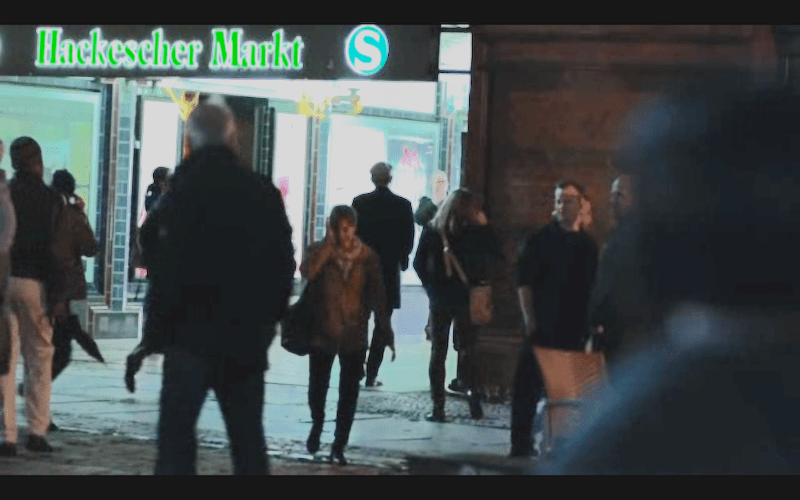 Location: Litfass-Platz 1, right around the corner for Hackesher Markt. 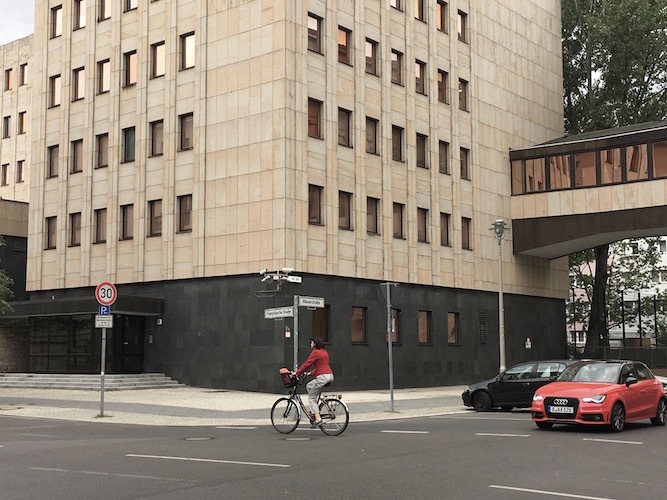 Here is the Düring Foundation’s Headquarters, and where Carrie got her job as a chief of security after she had left CIA. In real life several companies have their offices in this building. I am taking a break to enjoy the same view as Saul in Homeland season 5. 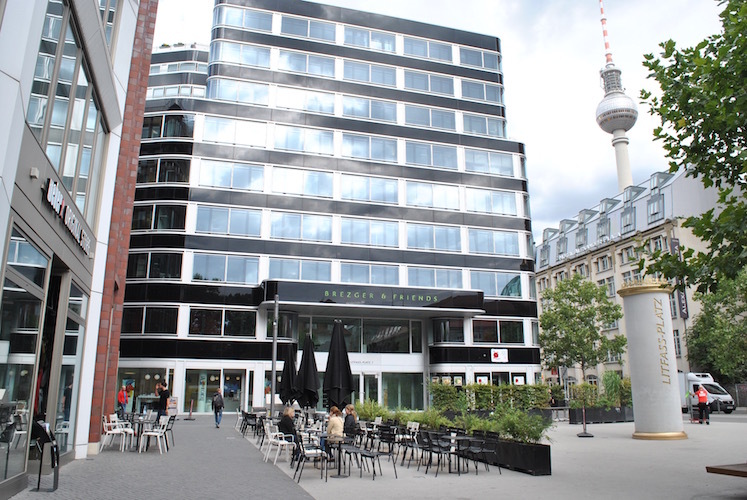 In the TV series this building by Brandenburger Tor, is housing the American Embassy, but in real life this is where Akademie der Künste is situated. I am not particularly impressed over the welcome by the people working there, but the art exebitions and the films they show are supposed to be of much more quality than the service. 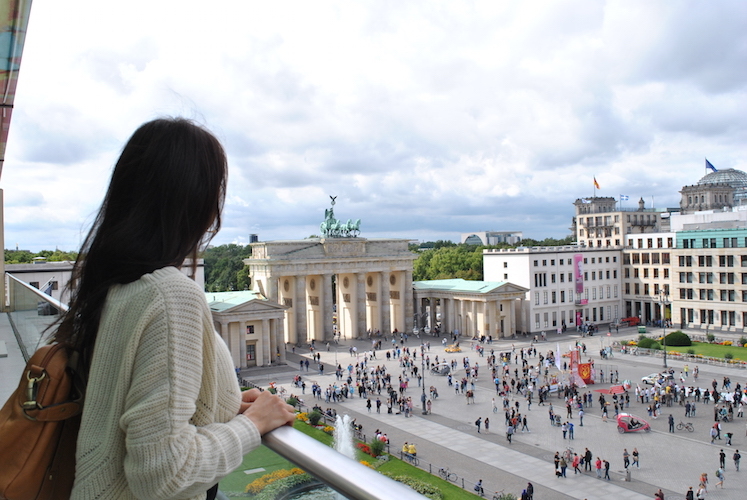 Nearby: Brandenburger Tor and the historic luxury hotel, Hotel Adlon. 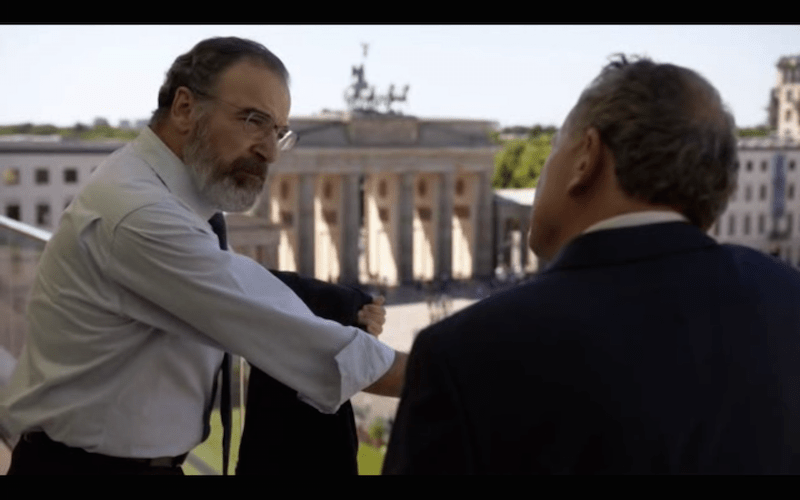 Previously it is also made a very good TV series about Hotel Adlon. 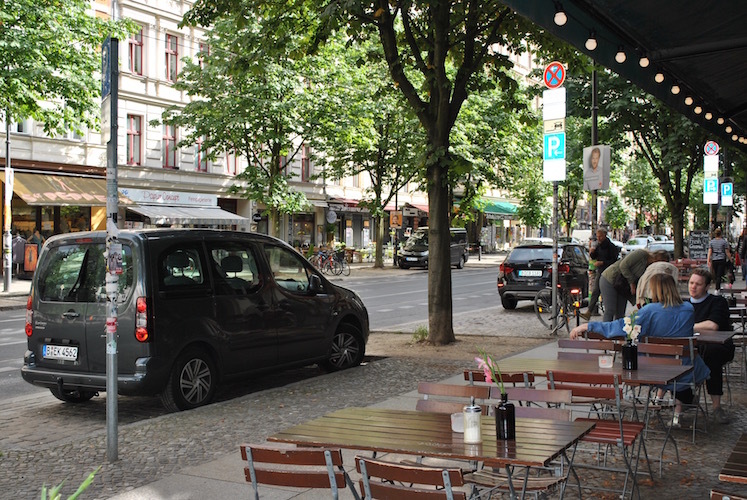 When it comes to biking Berlin is a super friendly city and in my pictures you will notice that there are considerable more bikes that on the still pictures from the TV-series. Potsdamer Platz has a dramatic history which is worth reading up on internet before leaving for Berlin. 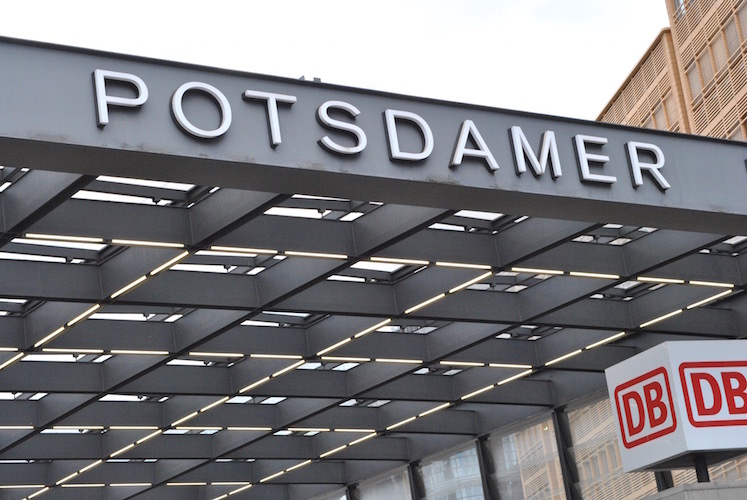 Location: Both the U-bahn and the S-Bahn stop at the Potsdamer Platz. Carrie and Saul meet during the night to talk under four eyes. Carry is desperately pleading for Saul’s help to find those who are trying to kill her. She is devastated when he refuses to help. Nearby: In the historic area around this traffic hub you will find many restaurants and shops, Legoland Discovery Center and lots more. 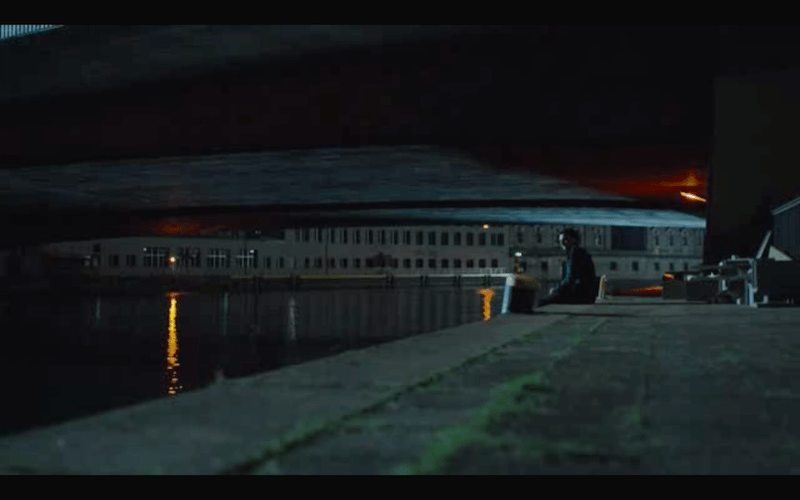 Quite a contrast: A young couple on their way under the bridge where in the TV-series Quinn collapses after an unsuccessful suicide attempt. 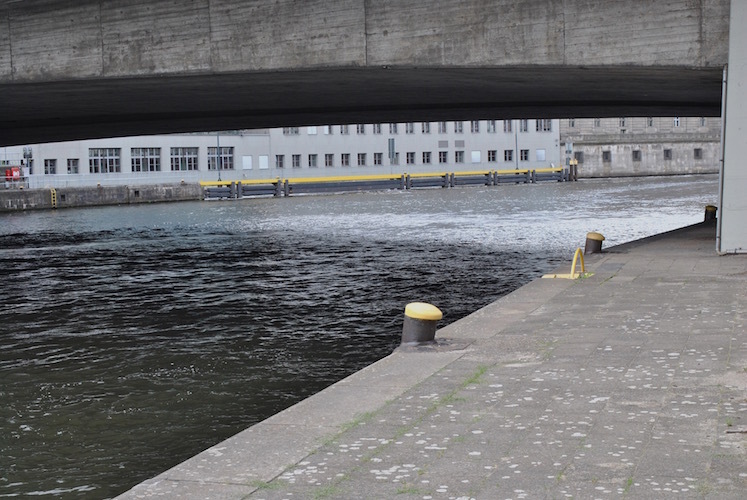 Location: Under the bridge where the main road 1 goes over the river Spree. Peter Quinn is seriously wouded and goes to the river to commit suicide. 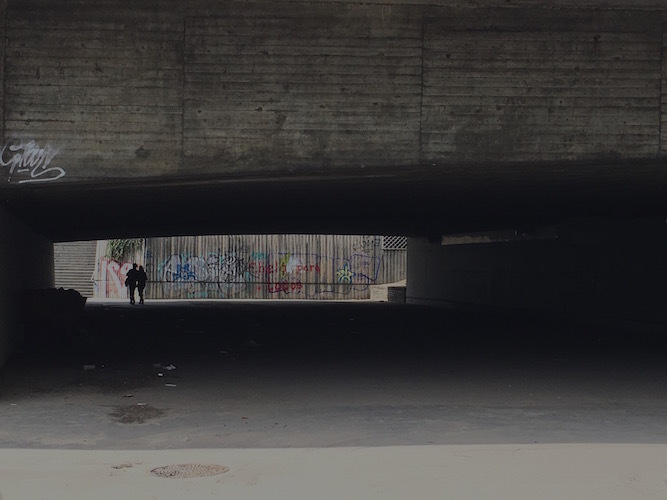 The area around the bridge is well suited for the dramatic act: In real life this is a place where homeless people and drug addicts have found shelter. 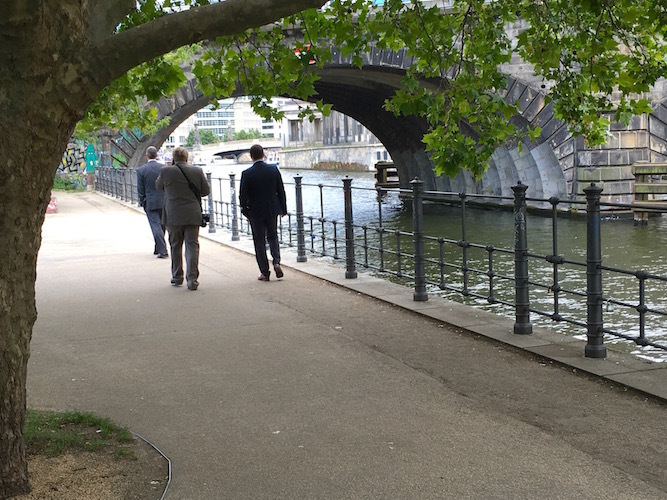 Nearby: If you, instead of going under the bridge, walk up the footpath which continues alongside the Spree, you will come upon rows of beautiful and cozy restaurants and cafees who also have out-door serving. There are also different kinds of river cruises on the Spree. The edge of the peer where Quinn tries to drown himself is barred off with a fence. However it is possible to lean over with a camera and take a picture…just be prepared for people staring at you wondering what on earth you are taking pictures of. When Carrie and her boss Otto Düring visit Lebanon, they live in this five star hotel…which in reality lies in Berlin. 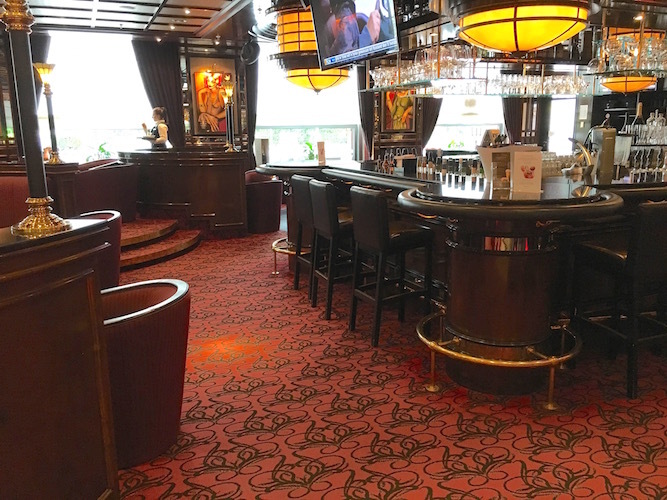 Here you can rest your feet in quiet surroundings and why not have a coffee or a glas of wine in the bar where one of the scenes were shot? Nearby: To the north of the hotel you will find the famous park, Tiergarten. 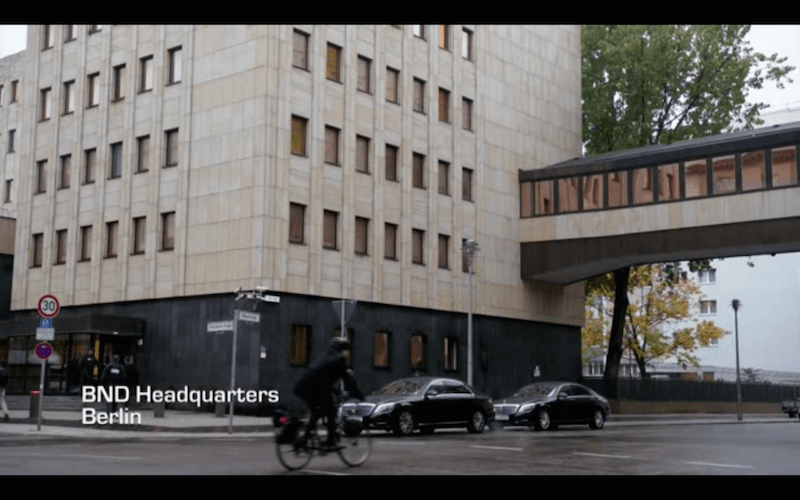 In the show, this office building belongs to the German federal secret service. 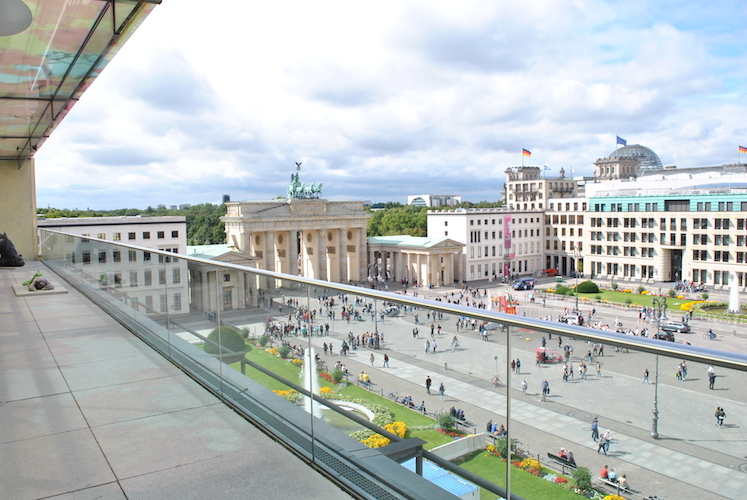 Nearby: You are now very close to famous Brandenburger Tor! Astrid and Allison meet in secrecy outside this cafe in order to discuss the exposure of the (non-existing) Russian spy. 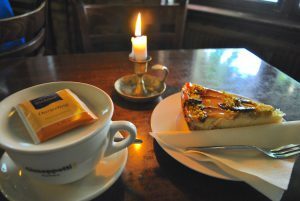 My apple cake and tea at Cafe Godot! It is not surprising that they chose Cafe Godot as the venue for this episode. This is an anonymous place where there is hardly any chance of meeting influential people as regular guests. 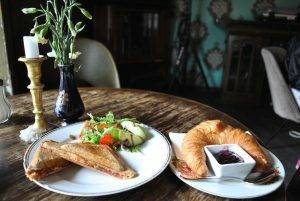 The drink menu is generous and tempting while the choice of food mainly consists of cake, rolls and a variety of breakfast dishes. I ordered a piece (huge!) of apple cake which was surprisingly nice and moist. The people working there were also very friendly… and If any of you are reading this: Thank you for letting me charge my cell phone while I ate! Nearby: If you continue down Kaistanienallee, you will soon have Zionskirche on your right hand side. This is where the scene was filmed where Carrie comes out of the church and is kidnapped by Al Amin’s menn. Rumors claims that the interior of the church is filmed in the church of Herz Jesu in Fehlberlinerstrasse 99. Nearby: The station from 1843 accommodate forty different shops and cafes. 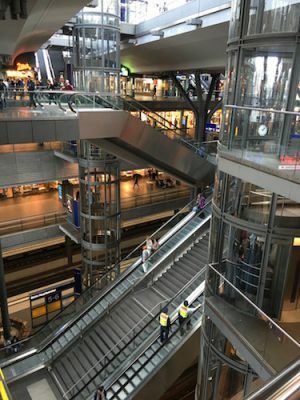 The top picture from Hauptbahnhof Station from the series shows Allison on her way in to the Station. My picture below shows the station in real life. 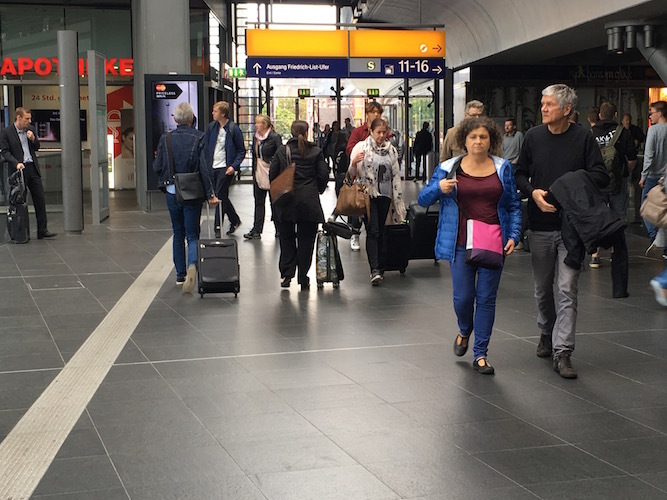 300.000 travellers pass through the station every day. 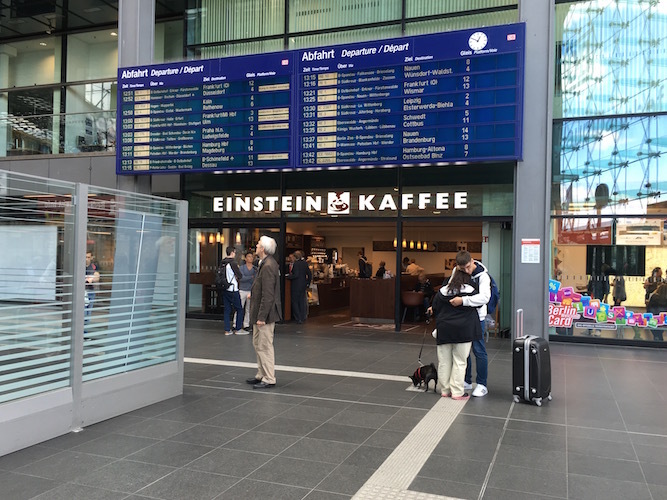 Hauptbahnhof is enormous, but it is prett easy to find your way around. 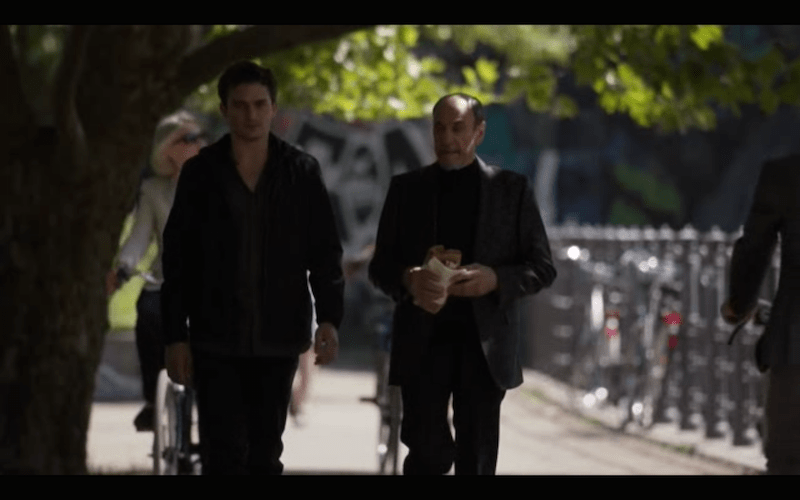 Allison is observed while she is fleeing to the secret house where the agent Ivan from the Russian intelligence and his colleagues are staying. 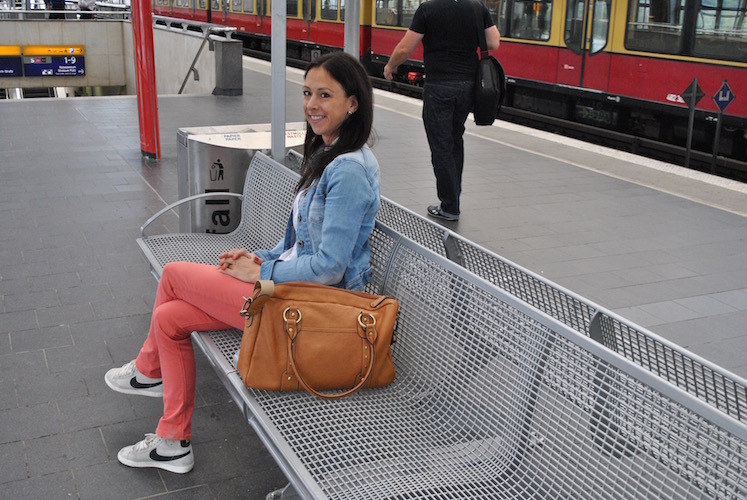 She jumps on the S-bahn from Hauptbahnhof to Nikolassee. 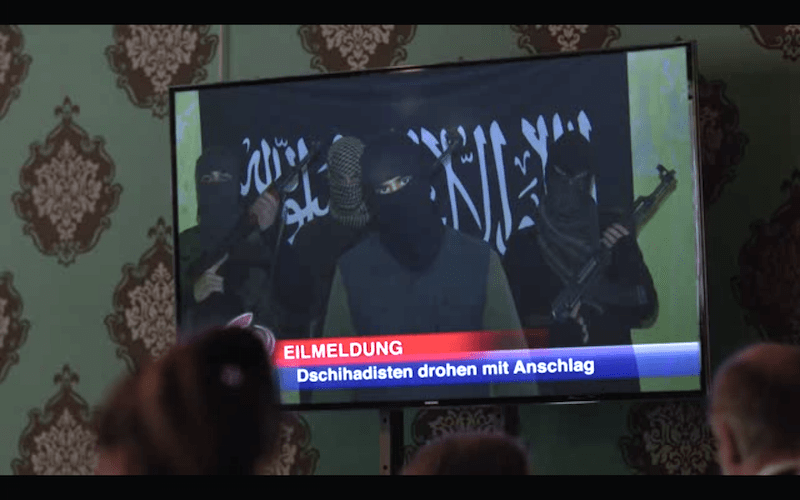 Later, it becomes up to Carrie to stop the attack the terrorists are planning on Hauptbahnhof. Nearby: Here you will find everything you need! 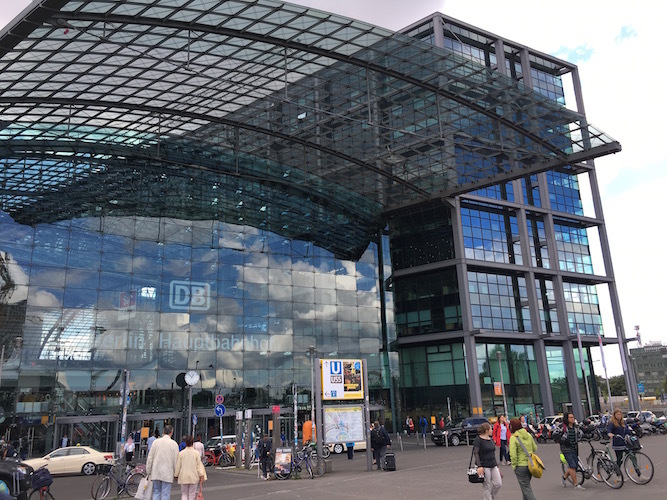 Hauptbahnhof is also a five stories high shopping mall with more than 80 shops and cafes where you can enjoy yourself seven days a week. 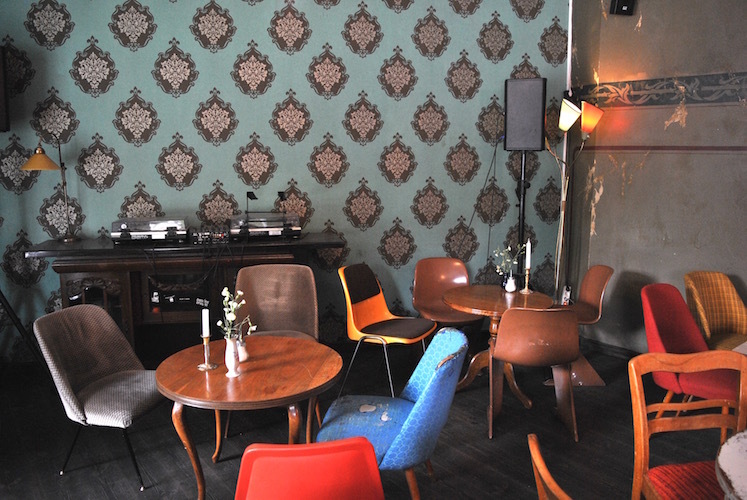 It is easy to recognise the cool wallpaper from the TV series when you enter Tante Emma! Carrie runs into this café in order to see the TV news about Quinn who has been gassed by terrorists. house in the 70’s. You can also sit outside in the sun. This is an informal and nice place with free WiFi. 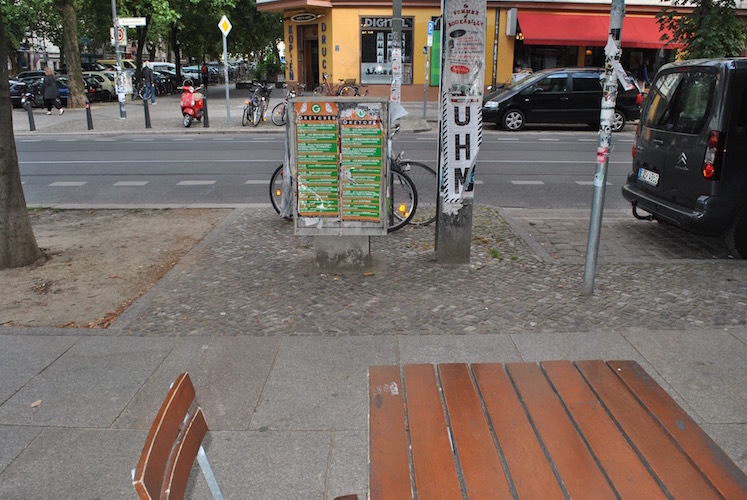 As with many other cafes in Berlin they only take cash as payment. Nearby: The big concert arena Mercedes-Benz Arena. The outdoor gallery East Side Gallery, which is a tribute to the fall of the Berlin wall. Here you can see more than 1000 metres of the previous wall. Location: In the TV series the headquarter of the terrorists is situated in this olympic village which was built in connection with the olympics in 1936. It is situated at Elstal, ten kilometres west of Berlin. Many of the scenes was filmed outside the building «Speisehaus der Nationen». 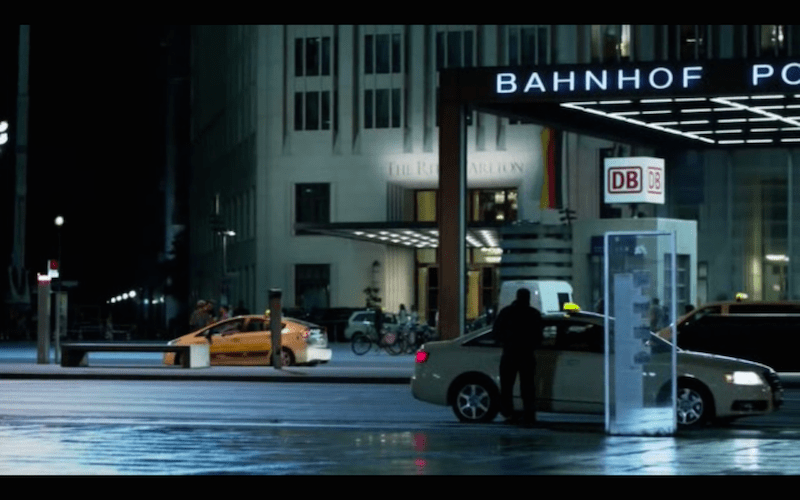 The chasing of the terrorists at Hauptbahnhof was partly filmed at Bundestag stasjon, on the track of U55. During the filming the whole station was closed and the passenger was shipped by buses. Location: Deutsche Post, Marktstraße 1, Nauen, Brandenburg. In postbox 061, Peter Quinn picks up pieces of paper with the name of the next person he has to assassinate. This is where Astrid and Quinn meets and it is revealed for the viewers that they have been in a relationship. Here is the TV-studio where Laura talks about the CIA documents. Nearby: If you are as fond of chocolate as I am, I hereby «warn» you against Fassberger & Rasch in Charlottenstrasse 60! 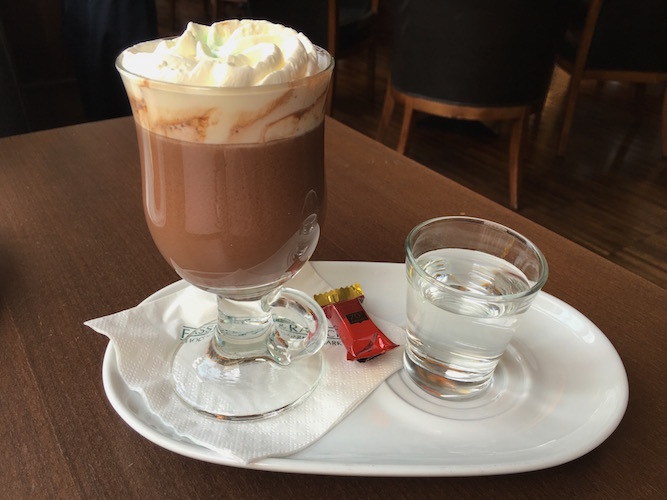 On the ground floor you can buy chocolate in all shapes and tastes, while the restaurant on the first floor will tempt you with the most delicious chocolate drinks and -dishes! My lunch at Fassberger & Rauch …. Ok, I might also have enjoyed a big piece of cake. However, there is no evidence! Location: Hollandisdhes Viertel (Dutch Quarter), one hour by train outside Berlin. The scenes from Carrie’s stay in Amsterdam are really shot here. 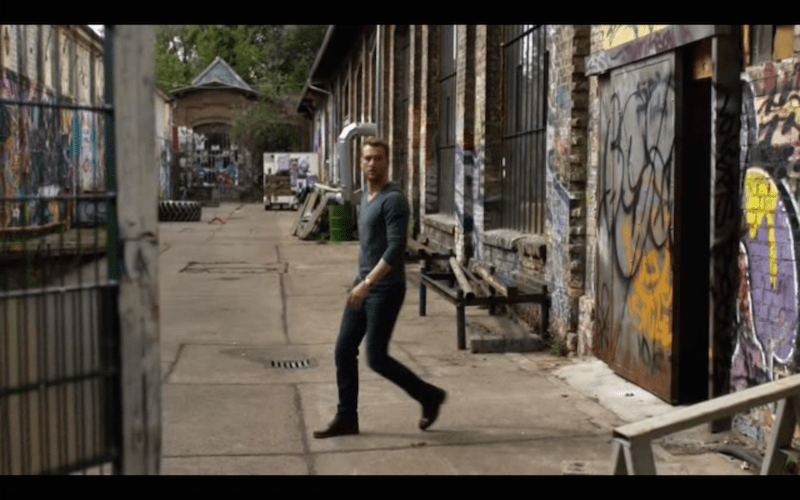 Location: These scenes are shot in an area of a shut down factory in Rüdersdorf. The area is blocked, but you can get a good view from Rüdersorfer Museumspark. 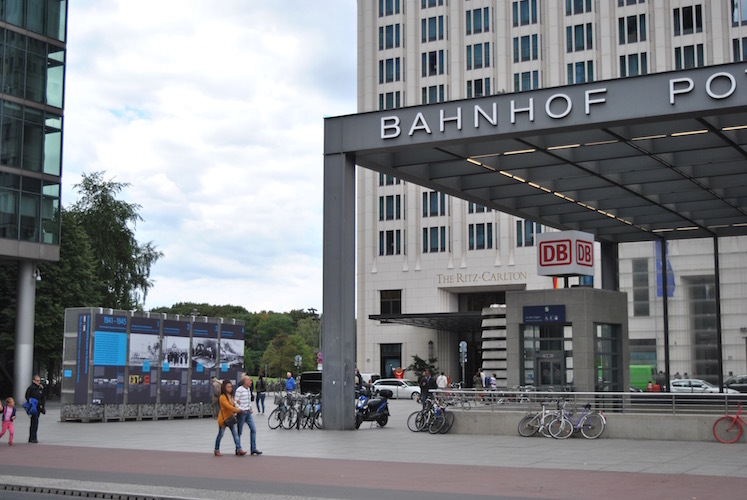 In relation to the makings of this article, Visit Berlin and The German Tourist Office in Noeway have contributed with hotel and plane tickets respectively. All the descriptions reflect my own opinions and they have no influence on the content.